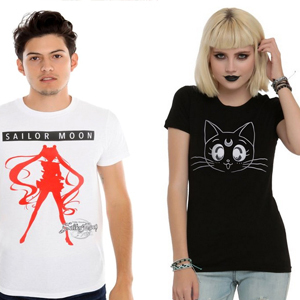 Sailor Venus, Mercury, Mars and Jupiter arrive too late. 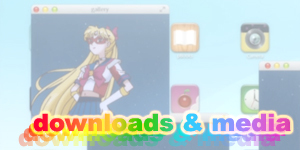 Sailor Moon has killed Tuxedo Mask and taken her own life. Suddenly the Imperial Silver Crystal begins to expand and grows around them. 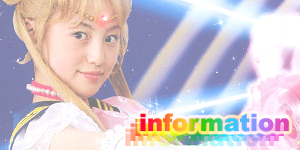 Queen Metalia sense the crystal’s power and takes it (as well as Sailor Moon and Tuxedo Mask’s bodies) into herself. Luna and Artemis teleport to the scene and Luna attacks Queen Metalia but Metalia blasts her to the floor and then leaves them all to conquer the planet. 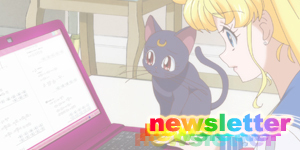 Sailor Venus and the others teleport to the surface, leaving Artemis to care for the injured Luna. 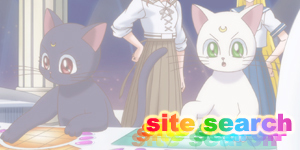 Luna asks Artemis to take her to the Moon where she begs Queen Serenity to appear again. As the Sailor Guardians reach the surface, they’re horrified to see the entire area devoid of life. Queen Metalia spreads across the Earth, corrupting everyone. The Sailor Guardians attack Queen Metalia with Sailor Planet Attack but are not strong enough. 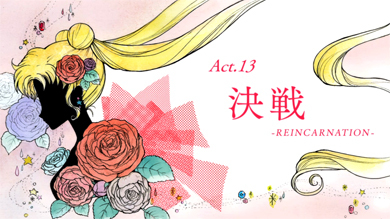 Defeated, they each recall Usagi and how she helped them all feel loved. Sailor Venus reaches up and the Holy Sword appears in her hand. 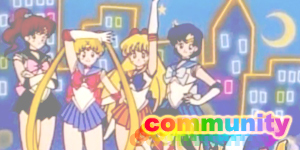 Sailor Venus, Mercury, Mars and Jupiter then hold up their transformation pens and call upon their transformation power to defeat Queen Metalia. Having used up all of their energy, they all fall down defeated. In the heart of Queen Metalia, Sailor Moon awakens and discovers that the watch that Tuxedo Mask gave her had saved her from the sword. Metalia begins to torment her and she decides that she has to leave or she’ll be swallowed by Queen Metalia’s evil energy. 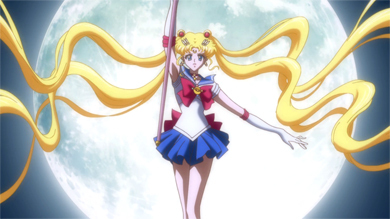 Sailor Moon uses the power of the Imperial Silver Crystal and blasts her way out. 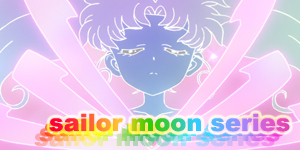 As the crystal floats above her and Tuxedo Mask, Tuxedo Mask begins to awaken. As he gets up, four gems drop out of his jacket and shatter. The spirits of Kunzite, Zoisite, Jadeite and Nephrite appear and tell him that they protected him and that Queen Metalia’s weakness is the mark on her forehead. 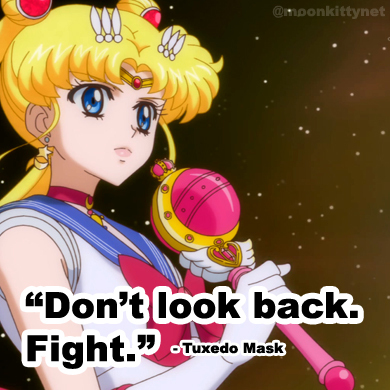 Tuxedo Mask tells Sailor Moon that she must defeat Queen Metalia with the Imperial Silver Crystal and to aim for her forehead. 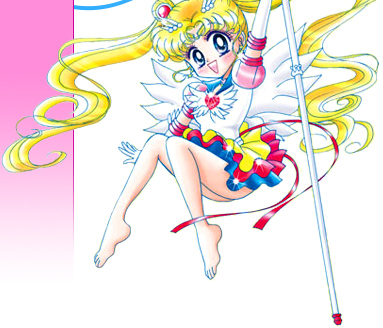 The crystal suddenly opens up into a lotus blossom and Sailor Moon summons her Moon Stick which extends into a staff. 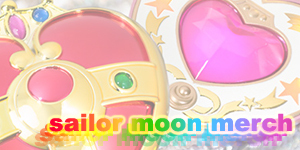 Sailor Moon places the crystal atop it tells Metalia that she will defeat her.